The Ventura County Medical Center will have a new instrument to examine newborns at risk for blindness. 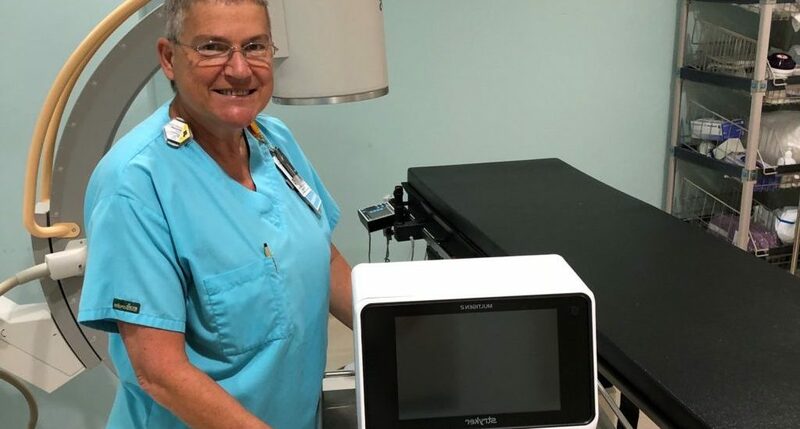 The Ventura Downtown Lions Club (VDLC) donated the final $50,000 needed to purchase the RetCam Shuttle, a retinal imaging camera used to screen babies for Retinopathy of Prematurity (ROP). This is the largest single-dollar contribution VDLC has ever donated and has now adopted VCMC as their Signature Community Project, implementing a pediatric vision unit. “As Lions, we are charged with supporting eyesight for the world and this seemed like an incredible project to head up and to find a way for the VDLC to provide funding and help establish a legacy project,” said Don Fromberg. “If this equipment saves just one child from blindness it was more than worth the cost,” said Mike Veseth. ROP is an optical disorder that affects motor, lingual, mental and social development. The RetCam Shuttle will screen newborns for potential eye illnesses to prevent the development of blindness due to ROP by providing photo documentation for physicians to view, import, upload, and comment on from anywhere in the world. It will track patients’ progress between examinations and be an asset in the NICU, as well as other departments. According to international screening guidelines, premature babies less than 32 weeks, weighing less than 3.25 lbs should be screened. Larger babies may also be screened if there is a high risk for ROP development.